Raising Futures Kenya was known as Vision Africa Give a Child a Future until December 2018. 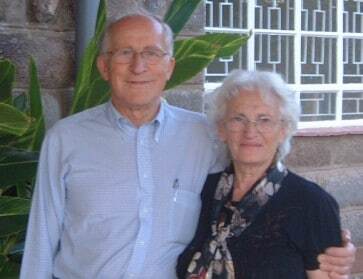 Vision Africa was founded by Reverend and Mrs Packard in 2001. In the 1990s the couple moved to Kenya from the North of England to work as Chief Administrators at an independent children’s home in Nairobi. They learned a lot during their time at the children’s home and when they left their roles there, as a practical expression of their Christian faith, they founded a charity that would support vulnerable children and young people in the country they now called home – Vision Africa was born. The charity has worked with children and families in Kenya for 18 years, taking practical action in the areas of education and community development. We have always worked with those of all faiths and none. Today we are led by a passionate, diverse team who all share the charity’s core values of inclusivity, compassion, and empowerment and we share a desire to see a world in which families, children, and young people in Kenya live with dignity, opportunity and hope. In 2018 we relaunched Vision Africa as Raising Futures Kenya to give a clear emphasis on our intentions and work for the future. Our roots have shaped our direction giving us a way to confidently express our ethos and values in the future. You can read more about our change of name in this blog post.